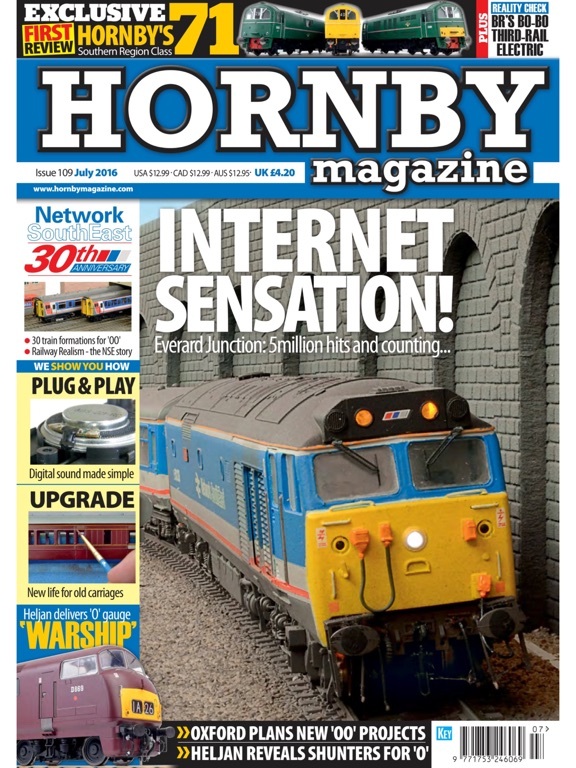 Hornby is a monthly independent model railway magazine written for enthusiasts. It takes a unique approach to railway modelling considering both the relatively inexperienced and the seasoned modeller. 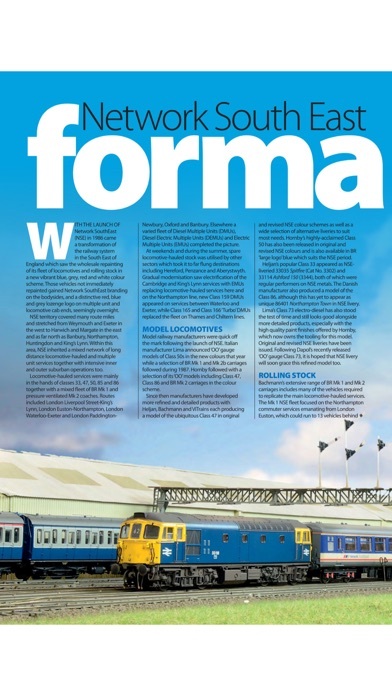 Focusing mainly on 00 Gauge but featuring N gauge, Hornby Magazine was the first to offer step-by-step guides, advising modellers on how to get the most from the hobby. 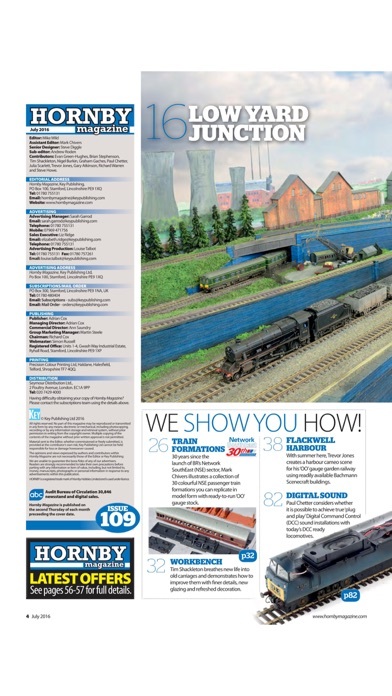 The very best photography, news, reviews and features inspire and inform modellers of all abilities. 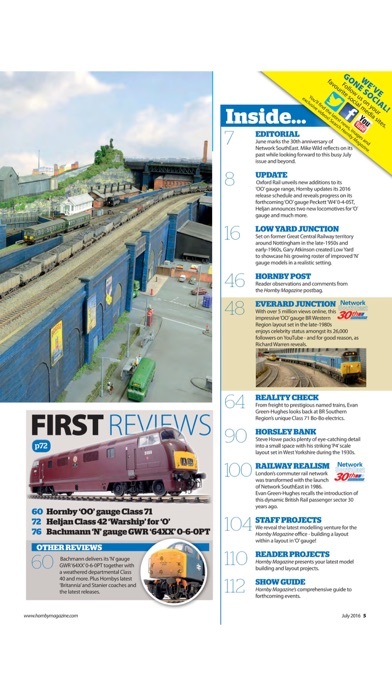 Hornby is a great introduction to newcomers with an easy to understand format whilst keeping those returning to the hobby up-to-date. 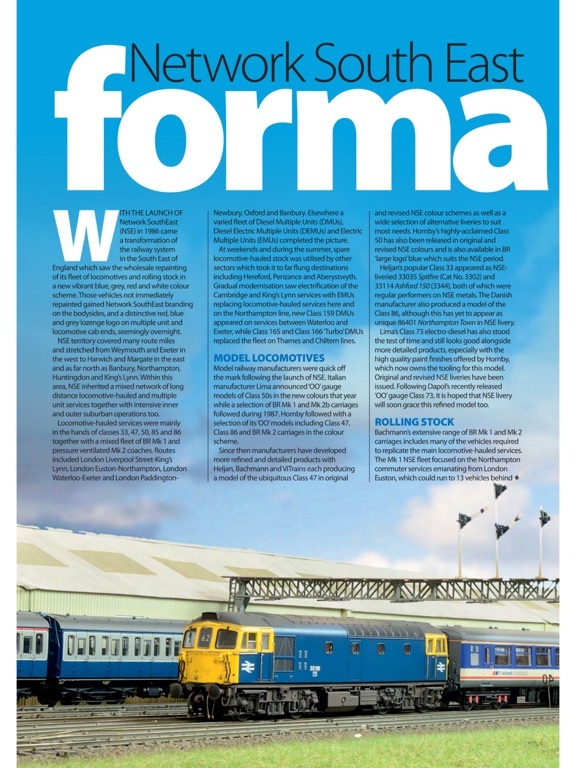 • National and international news on developments in the railway modelling world. • Parker’s Guide – Phil Parker’s step by step guide to creating your own model railway layout, all the hints, tips and techniques any railway modeller would need. 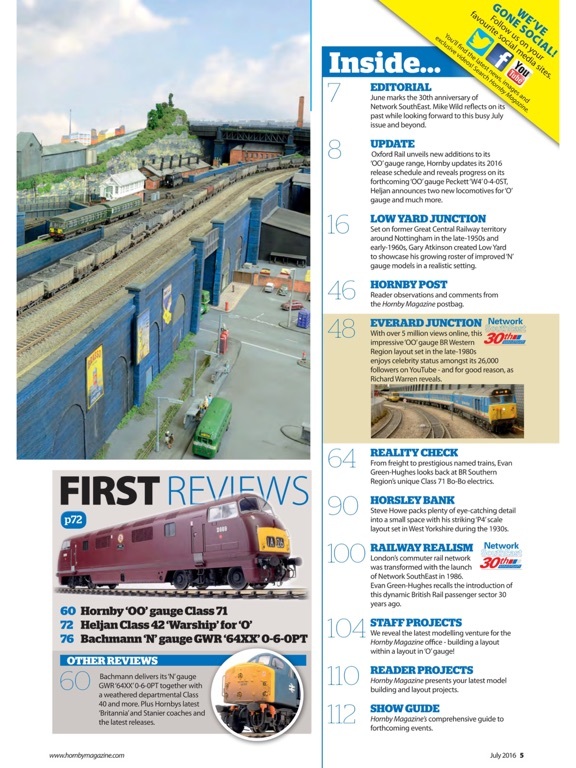 • Reviews – The latest products, locomotives, train sets, software and accessories from the likes of Bachmann, Hornby, Dapol, Heljan and Vitrains. • Show Guide – Shows, events and swap meets organised by model railway clubs, societies and associations. 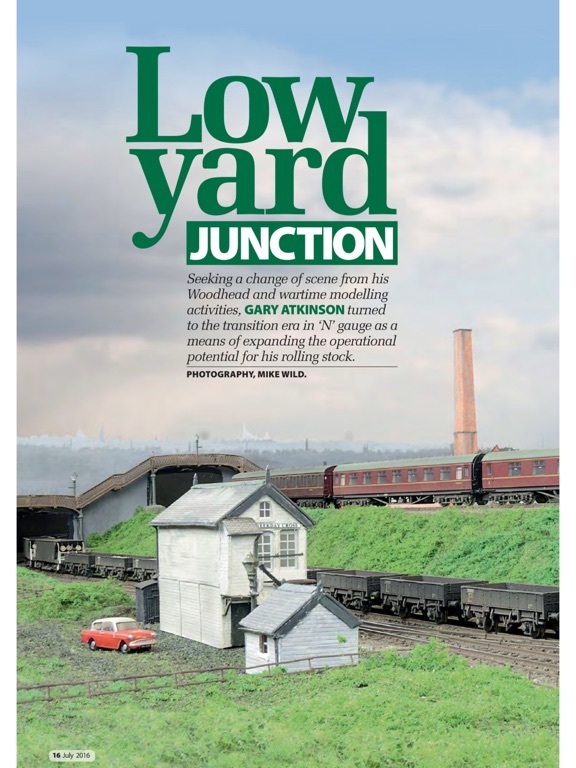 • Reality Check - Archive pictures of railways stations, rolling stock and the surrounding areas to help make your layout as realistic as possible. 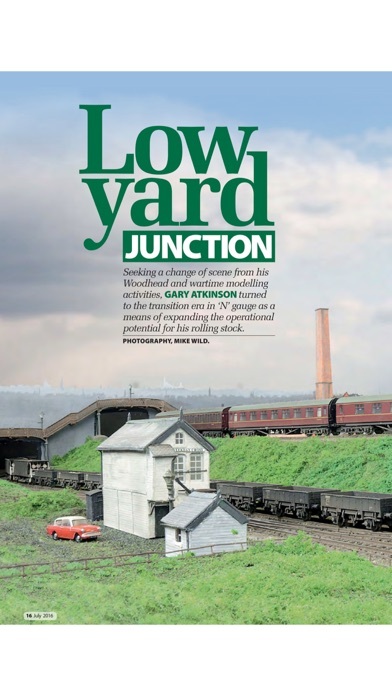 • Featured layouts – an in-depth look, using some spectacular photography, showcasing the very best layouts and dioramas in Britain and Europe. 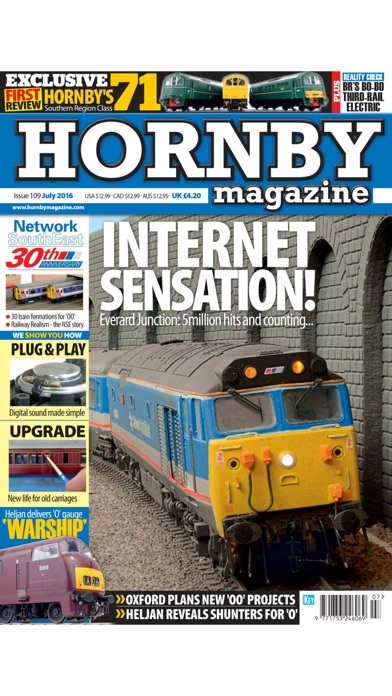 “HORNBY” is a registered trade mark of Hornby Hobbies Limited and is used under licence. FREE App download with a 33 page sample issue.